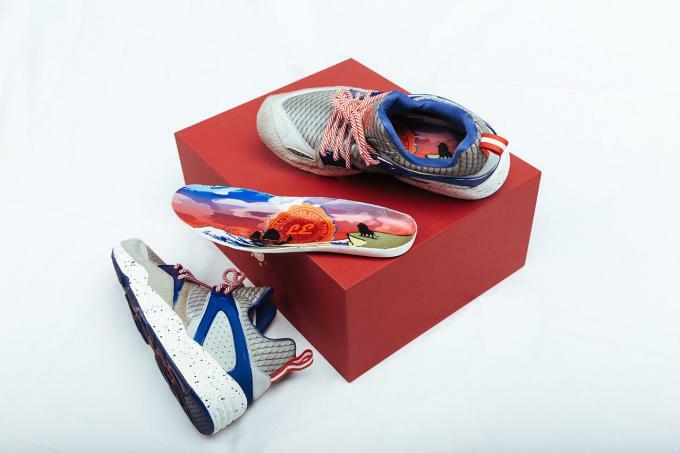 As Singapore&apos;s quintessential sneaker boutique, Limited Edt is tasked with the important responsibility of representing the country gracefully, and that&apos;s exactly what it&apos;s done with its new collaboration with Puma. The Limited Edt x Puma Blaze of Glory "Lion City" is a celebration of Singapore&apos;s 50th anniversary of independence, according to Hypebeast​. It takes cues from the country&apos;s landmark Merlion statue, which is quite simply a cross between a mermaid and a lion. You&apos;ll see this referenced on the Blaze of Glory&apos;s contrasting materials, which mix furry pony hair and a fish scale print. 3M hits and accents of red and blue finish the look off. These are set to drop exclusively at Limited Edt on August 21 followed by a wider, but still limited, drop on August 28. And there&apos;s more — per Hypebeast, this is the first of three collaborations between Limited Edt and Puma. Stay tuned for further info.